Tonight I cooked some Trader Joe's Curry Chicken Tenders (delicious) and Roasted Curry Cauliflower. I also used up the rest of the Swiss Chard from last week's CSA by cooking it in the same pan as the chicken to give it a little bit of curry flavor as well. It worked really well to throw it in the pan after the chicken was finished, adding an interesting but subtle flavor. Everything tasted so good and it was a really simple dinner to make...although to like it, you must like curry! I'm really enjoying using our CSA veggies when cooking. I also made some more Strawberry Tea Bread, although I couldn't find hazelnuts at Publix so I ended up using a mixture of leftover hazelnuts and walnuts that I toasted before grinding. I think it will still make a great dessert! 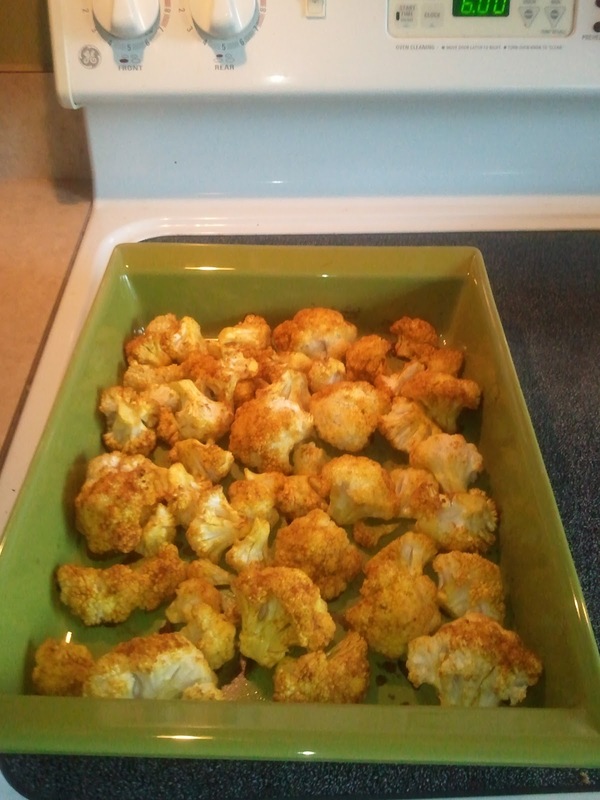 Mix oil, lemon juice, salt, and curry in a bowl big enough to hold all the cauliflower. 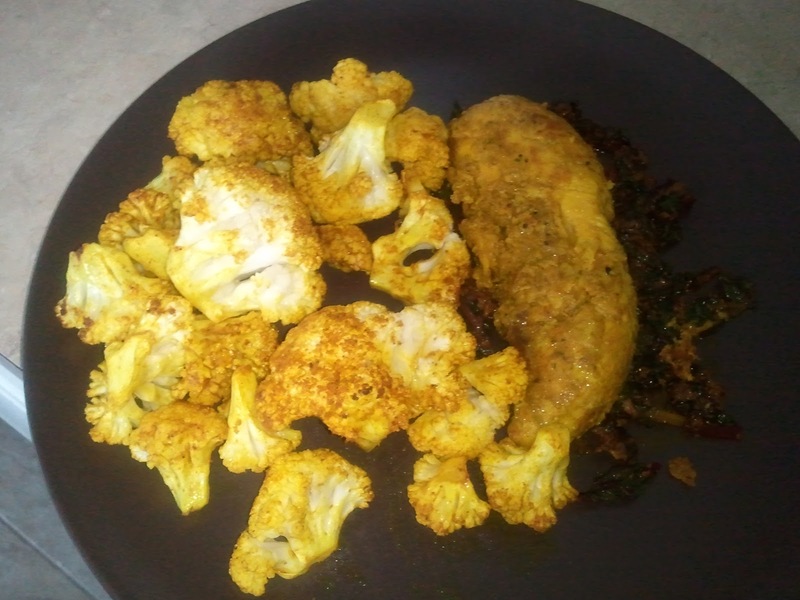 Add the cauliflower and coat the florets with the curry mixture. 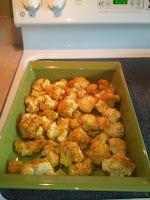 Pour cauliflower into a large roasting pan in a single layer. Bake at 450 degrees for 25-30 minutes, until the cauliflower is tender.